What Are the Health Benefits of Couscous? 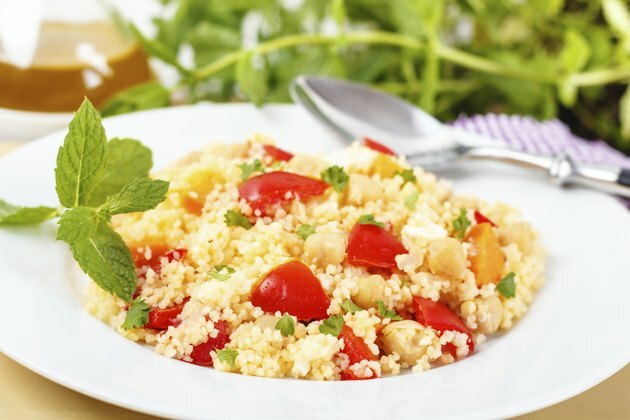 Eating couscous provides you with essential nutrients to help maintain your overall health. This whole-grain food is native to northern Africa and is commonly found in Middle Eastern cuisine. Couscous is small pasta made of semolina, a form of wheat. It can be eaten as a side dish, salad or dessert, and you can use it in place of rice or quinoa. 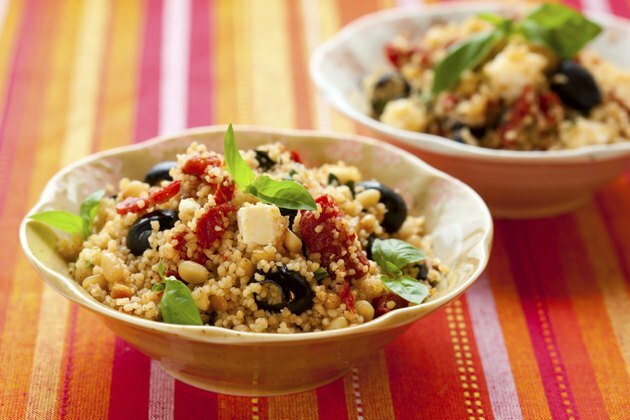 Eating couscous provides you with a good source of lean, vegetarian protein. A 1-cup serving of cooked couscous gives you 6 grams of protein, which meets 12 percent of the daily value for the nutrient. Your body relies on dietary protein to support healthy skin, muscles, organs and other body tissues. Choosing lean protein sources helps ensure you're meeting your daily protein needs without consuming excess fat. 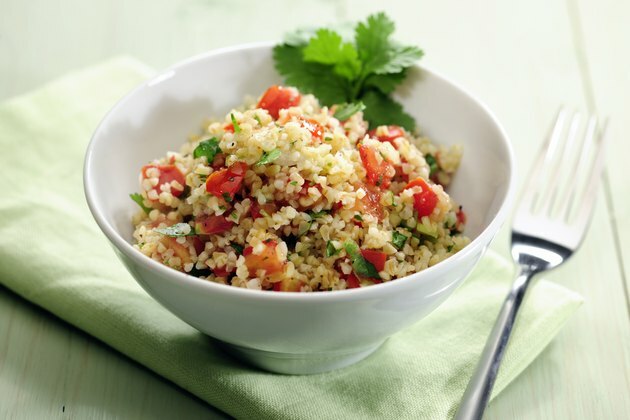 A serving of couscous has less than 0.5 grams of fat per serving making it very lean. Each one cup serving of couscous provides 2 grams of dietary fiber. Even though fiber is an indigestible carbohydrate, it plays a vital role in maintaining your health. Fiber may be beneficial for weight management, because it absorbs water and swells in your digestive tract helping you feel full. It also keeps food moving through your body preventing constipation. Your cholesterol level may even benefit from fiber because it binds to cholesterol in the digestive tract and removes it from your body. When grains are processed, many of the nutrients are lost. Choosing whole grain foods typically provides you with more vitamins, minerals and fiber per serving than refined grains. 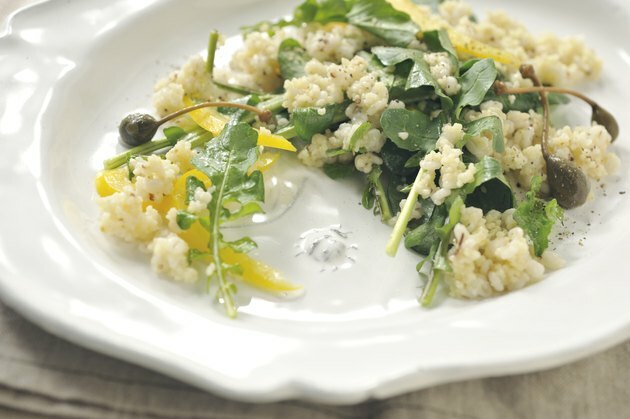 Couscous is a whole-grain food and a good source of B vitamins needed to keep you healthy. 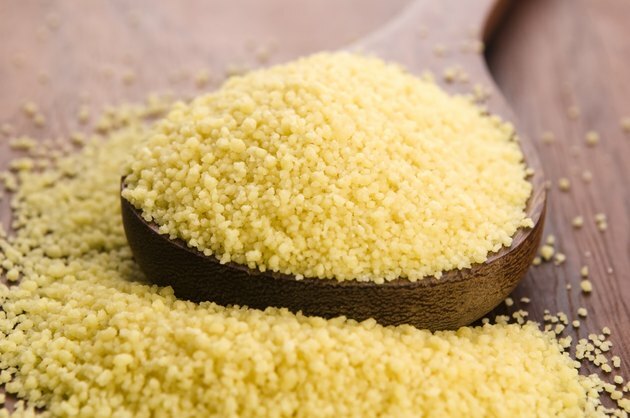 Specifically, couscous provides thiamin, niacin, riboflavin, B6, folate and pantothenic acid. These nutrients help metabolize energy, maintain healthy red blood cells, prevent certain birth defects and keep your skin, blood, brain, nervous system, heart and immune system functioning well. Minerals are also present in varying levels in couscous. A serving of the pasta provides 61 percent of the daily value for selenium. Selenium plays an essential role in reproductive health, metabolism of thyroid hormones, protein synthesis and preventing damage from free radicals, according to the Office of Dietary Supplements. One cup of couscous also contains 7 percent of the daily value for the mineral manganese. While only a tiny amount of manganese is needed daily, it plays a part in maintaining the health of bones, blood, hormones, nerve and brain function as well regulating metabolism and blood sugar. Can You Eat Bulgur Wheat With Diabetes?